I think one of my original sensors is going bad on my 06 CRD. I get a chime and dash light that goes away after a bit. This has happened 5-6 times. 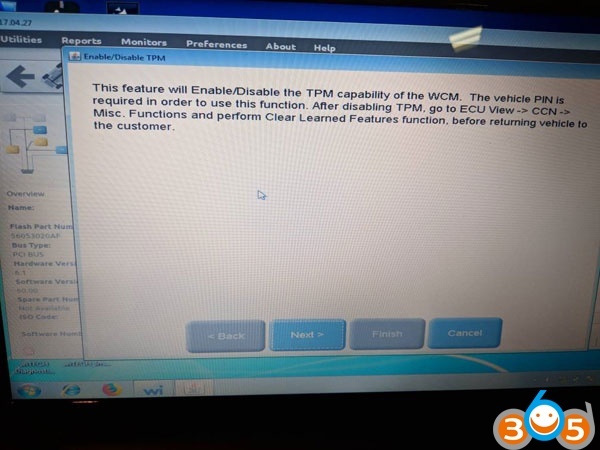 TPMS was not mandatory until 2007. It’s was an option in 2006 and I hope to disable it in the near future. 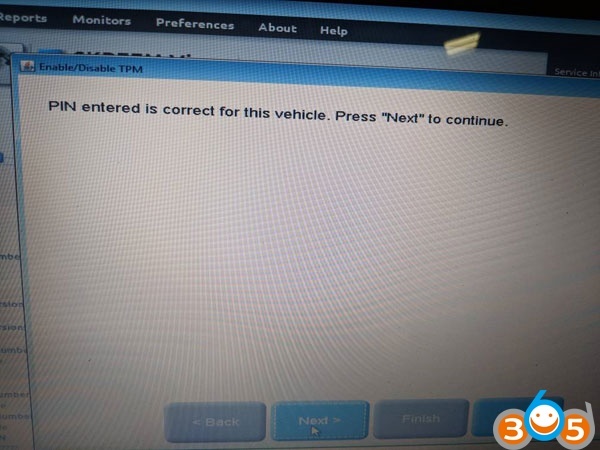 Has anyone disabled their TPMS via a tune or otherwise. I’d prefer to disable it in lieu of buying new sensors. MicroPod II comes with version 17.04.27 software, drb3 support is not installed automatically but can still be found after install. Says it’s good for offline use only, but that should be enough to mess with the TPMS. All modules except the BCM and ABS computer are still compatible with the DRBIII on the 06’s. This is a working offline Witech. I just got it connected successfully. Software V17.04.27 was installed on a Windows 7 laptop no problem. It did successfully populate the VIN and can read the ECU. I did it. 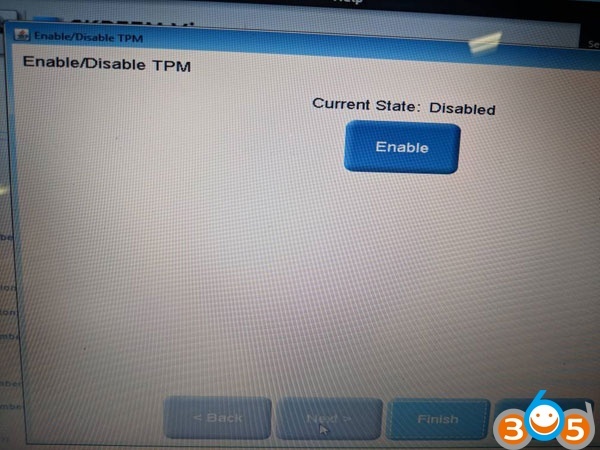 Micropod2 DRBIII has an option under the SKREEM menu to disable/enable TPM. 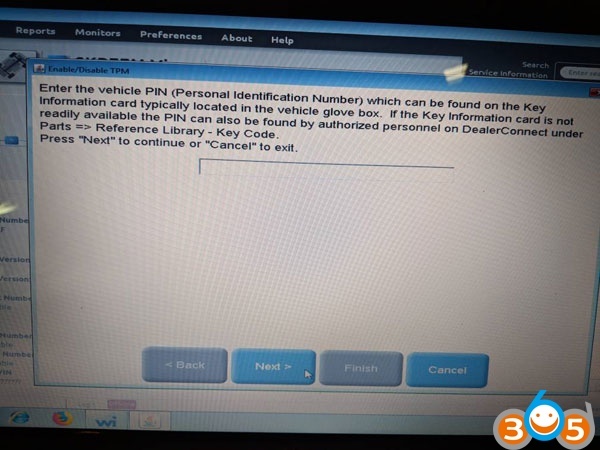 You need the 4 digit PIN code for your vehicle to do it. I typed it in, clicked next, clicked on the disable button and got a message that the TPM was disabled. The TPM light came on and the dashed chimed. I then went to the CCN menu and cleared the learned functions in the cluster. The TPM light went out and hasn’t come back on since. I’ve driven it about 20 miles and no TPM light. 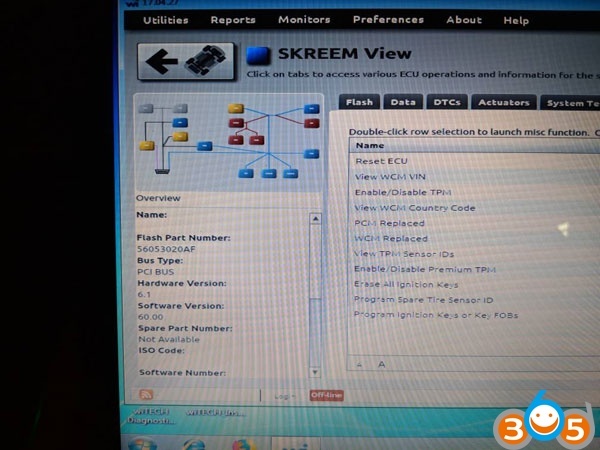 Go into the SKIM/SKREEM module, with your 4 digit pin, and disable the TPM system. The yellow tire light on the cluster (which on mine used to blink because of its error state) now turns on solid. The EVIC on mine changed from “Check TPM System” to showing compass and temp. Go into the Interior and Body section, and to the Cluster. In there, choose Reset learned options. The yellow tire light goes off!